Whether gracing the pages of fashion's most respected publications or walking international runways, these bold baroque fashions embrace the "more is more" style motto. From Dolce and Gabbana's gold-accented collections to the heavy ornamentation seen in Anna Dello Russo's recent H&M collaboration collection, this intricately detailed aesthetic looks to the past for its design inspiration. These artfully crafted pieces embrace the idea of over-the-top glamor and are guaranteed to draw attention to their wearer. Because of their intricate detailing, these items often come at a hefty price. 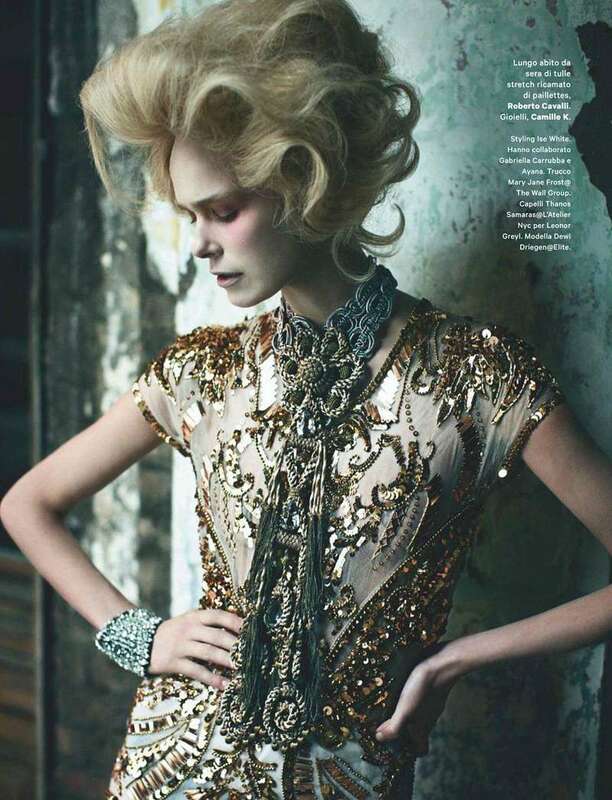 Whether they are dripping in gold or organically embellished, these bold baroque fashions are gaining immense popularity with a spotlight that doesn't seem to be fading. The piece are not only recognized for their flawless aesthetics but also for their air of nostalgia seen through their historical inspiration.